Canadian filmmaker Ed Gass-Donnelly has a style that might be deemed “Canadian Gothic.” It was alive in his slow-burning and woefully underseen Small Town Murder and it was present in his gun-for-hire sequel The Last Exorcism Part II, a film that was dismissed by horror fans and that was very much at war with what they expected vs. the sort of elevated film Gass-Donelly was trying to deliver. 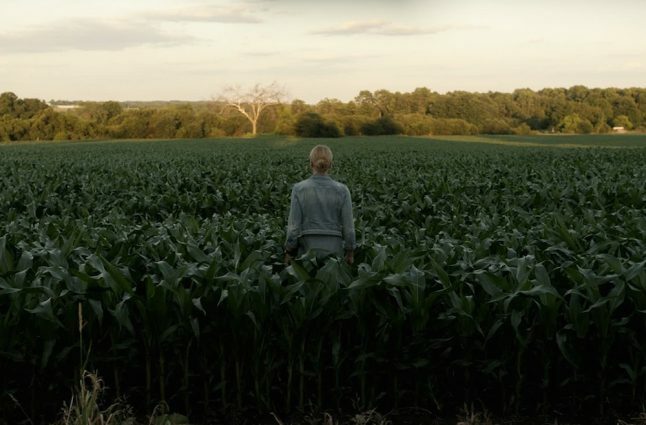 His latest movie, Lavender, co-penned with Resident Evil: Apocalypse‘s Colin Frizzell, is perhaps the purest of his pictures to date, a movie drowning in thick, oppressive atmosphere, stark imagery and chilled tone that it’s almost a shame that is measured pace and immersive qualities serve a story that is ultimately all-too-familiar. Lavender stars Abbie Cornish (RoboCop) as Jane, a beautiful young photographer who is living in a permanent state of confusion after enduring trauma at a very young age, a condition further compounded by a hideous (though beautifully shot) car accident. We see glimpses of that trauma in the slow-mo opening, wherein Jane’s entire family has been slain, leaving the little girl shivering in the corner and spattered with blood. As an adult Jane, has become fixated on photographing abandoned houses while coming to terms with the fact that she may or may not have been the one who committed the long ago crime. Her mental state now pushed past the edge, she finds her relationship with her husband and daughter strained and seeks the help of a psychiatrist (Tusk‘s Justin Long), who urges her to explore her childhood home and unearth those painful memories. There she finds her kindly uncle (Dermot Mulroney) taking care of the joint and what seem like a host of ghosts creaking around in the peripheral. What follows is the usual woman-in-jeopardy plot goosed with seriously spooky supernatural shenanigans, with Cornish delivering a commanding central performance and holding it all together. She’s matched by Gass-Donnelly’s graceful direction, a fluid meditative eye that manages to gloss over the script and story’s predictability and pretentiousness. His film is also blessed with a haunting, string-soaked score by Colin Stetson and Sarah Neufeld that adds a heavy emotional weight to the proceedings, It’s a beautifully made film and one wishes Gass-Donelly had shaved down the contrivances of his narrative considerably and just trapped Cornish in that house. Whenever she’s on screen and the director simply follows her, Lavender is a mesmerizing work of dark art. The tacked on plot points undermine that art. But all that said, it’s a pleasure to watch this filmmaker refine his style and it’s a joy to see a strong female-fronted horror movie with his much emotional sophistication and elegance. Recommended. 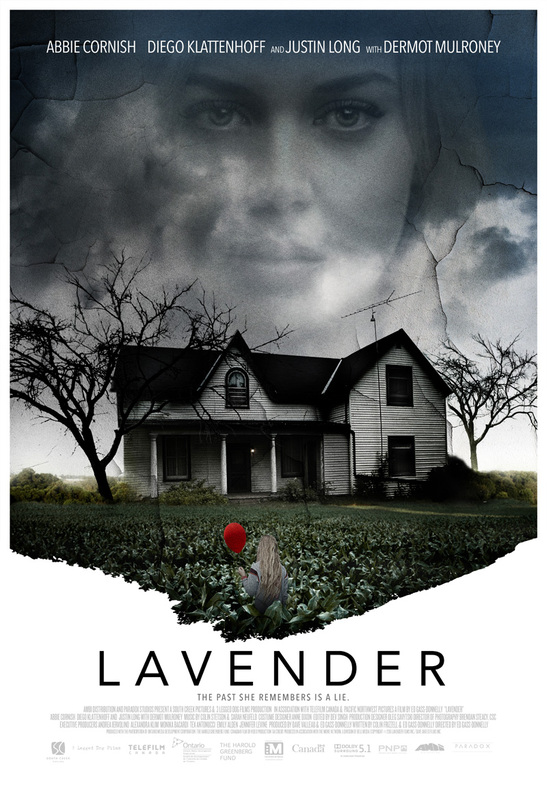 Lavender hits theaters and VOD on March 3, 2017 from AMBI Media Group and Samuel Goldwyn Films.